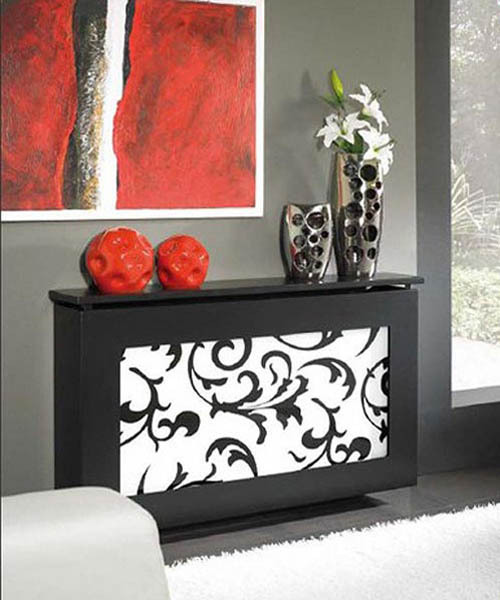 Room heaters and retro style radiators can be attractively incorporated into modern interior design. Bright painting ideas, creating interesting patterns and adding wooden covers that decorate old heaters are simple and beautiful ideas for creating gorgeous interior design with room heaters. Room heaters can be decorated with creative painting ideas, using paint color similar to the wall or contrasting bold paint color that creates a strong artistic statement. 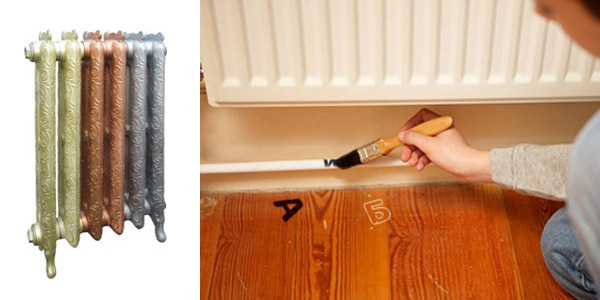 Painting old heaters and cast iron radiators can spice up modern interior design. 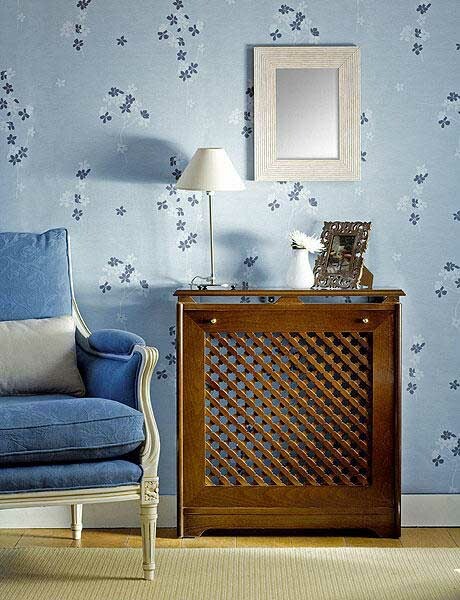 Attractive wooden covers for old wall heaters are another elegant way of making room heaters a part of interior design. Hiding old wall heaters under wooden cover is a popular option. 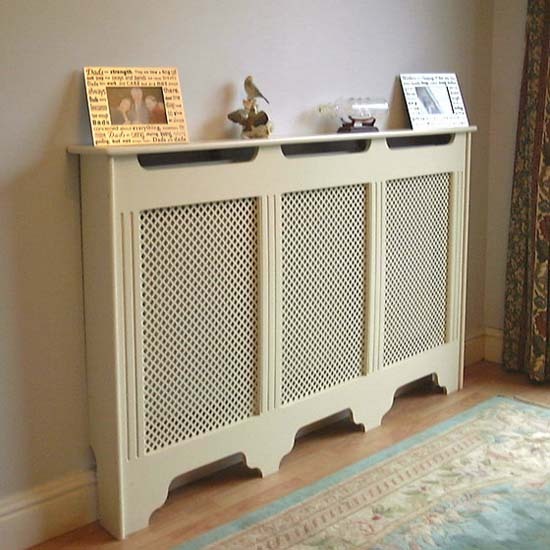 Decorative covers for room heaters look organic in traditional interiors and work well for country style homes. Attractive covers work especially well for old room heaters in wall niches or on walls with windows. The only negative effect of adding plastic or wooden covers for wall heaters is that when radiators or room heaters are placed in a niche behind a decorative panel or a cover the circulation of warm air in the room slows down. If the old radiators or wall heaters do not match your interior design, painting them, designing a beautiful panel, adding a decorative screen similar to a fireplace screen or creating nice covers for your room heaters, that hide them completely, are creative ideas that make modern interior design more interesting and organic. Wooden covers for wall heaters are one of the easiest and most practical ways of hiding ugly old wall heaters and incorporating them into interior design. There are many interior design styles that can benefit from open pipes and retro radiators. Bright or neutral paint colors, creative painting ideas and exciting or charming decoration patterns transform retro style radiators and old room heaters into bold decorating accents that give unique character to modern interior design. Glass, metal or plastic screens and decorative panels in front of old wall heaters and radiators work well for high-tech decor style or contemporary interior design style. Adding color, texture or decoration patterns help set the mood, suitable for your home interior design style. Wooden covers for old heaters allow to create small storage spaces and add decorative shelves, adding a personal flavor to your interior design. Wooden covers for old wall heaters is an elegant way to bring warm texture of this eco friendly decorating material and add your favorite color with painting that are perfect for harmonious, pleasant and comfortable interior design.